Here at our riverfront community, we’re passionate about creating memorable, inviting living experiences along the James River. From direct river access to the Virginia Capital Trail and more, we offer a vibrant lifestyle matched with sophisticated homes. And our newest development, Riverwalk, perfectly captures this vibe. With a handful of condos still available, now’s a great time to explore what it’s like to live at Rocketts Landing. Riverwalk condos offer bright, open spaces for sophisticated living. Riverwalk is our newest community development featuring 52 condos built by Stanley Martin Homes. The homes are along the Virginia Capital Trail and within the Henrico County portion of our community. Stanley Martin has two home designs featuring urban-style condos with different layouts and square footage — The Williams and The Paxton, the latter of which has already sold out. The condos are townhome-style buildings that stack two-story homes on top of each other within a four-floor design. Enjoy customizable features throughout the home, such as stainless steel appliances. What do The Williams condos feature? In addition, all condos are to-be-built homes, meaning you can customize everything from the flooring to the countertops to the appliances and more. 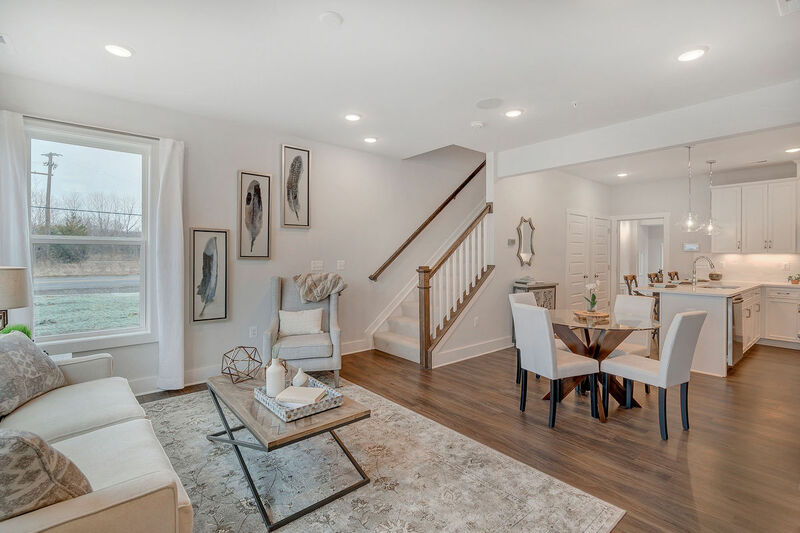 You also can opt for additional features, such as adding a gourmet kitchen with upgraded stainless steel appliances and an optional 3rd bedroom upstairs (which replaces the upper-level family room). Comfortable bedrooms invite you to relax and wind down from a day's work. Homeowners also receive all the perks of living at Rocketts Landing, including our riverfront pool, community gardens, kayak storage, and more. Prices for The Williams homes start at $299,990. If you want to explore how you can make Riverwalk your new home at Rocketts Landing, we’re here to help. You can learn more details online by visiting Riverwalk at Rocketts Landing. You can also schedule a personal visit by calling 804-265-4521. We look forward to welcoming you!